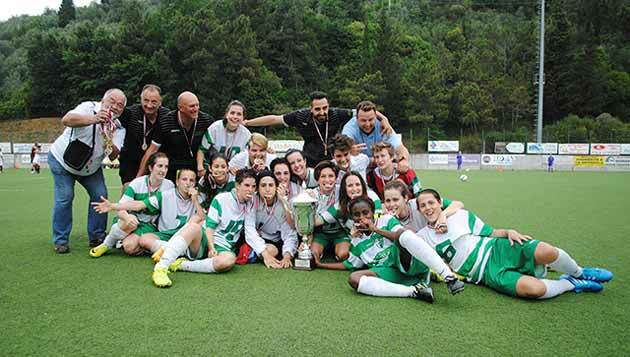 The Giallorosse beat Florence on penalties. 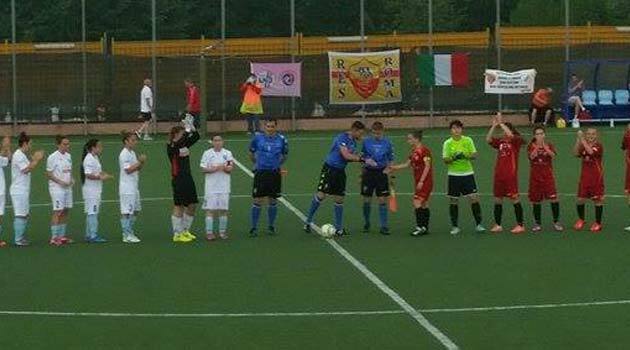 Capezzano Pianore (LU) - Match for strong hearts that between Florence and Res Rome, decided on penalties. First half closed by viola in double advantage with the Cinotti and Cosi networks. Shooting of the Giallorossi brand with captain Palombi in the chair: the number 10 of Res Roma first shortens the distance and then finds the equalizer. From the spot the Roman are impeccable, while the violets are scored with only Ferrara. The comparison slips away pleasant from the first minutes, with a marked supremacy of Res Roma in possession of the ball. The two formations face each other with determination. At half an hour Fedele denies the goal to the captain of the palombi ressine. Touched the advantage for the Giallorossi arrives the goal of the viola that at 34 'go ahead with a diagonal of Cinotti kicked from the edge of the area. At the 42 'Florence doubles thanks to Cosi's winning winner. 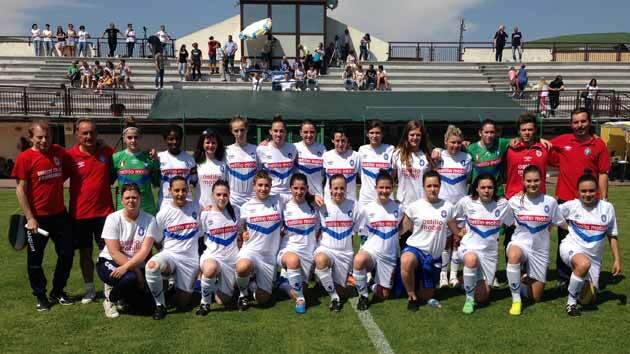 The Veneto team, thanks to the network of Francisca Yeboaa beat Bologna for 1-0. Capezzano Pianore (LU) - The Hellas led by mister Castagni beats Bologna for 1-0 thanks to the Yeboaa network signed at 16 'of the first half. Hellas Monteforte is champion of Italy. The formation of Veneto led by Mr. Castagni beats Bologna for 1-0 thanks to the Yeboaa network signed at 16 'of the first half. The curse of the finals for Daniela Tavalazzi's rossoblu continues. The race starts with a copious phase of study that lasts for at least 10 minutes. The first real high pitched the Venetian with Yeboaa that from a good position, rather than close to the net of first intention, try to adjust the ball, allowing the opposing goalkeeper to resume the position and hook the ball. The number 11 Veneto, fresh champion of Italy with the regional representative, refers to the 16 'taking the lead Hellas Monteforte with a fine shot that slips behind Armaroli. Bologna responds to 26 'with Gargan that ends on the net but Frigotto is opposed to the body. The recovery opens up lively. A final is always something magical, inscrutable, something imponderato to make concrete: the Final, with a capital "F", is a race to be won. Even more so if the most awaited meeting of the year, the one that holds your breath suspended until the triple whistle, is a game to be played between two of the most important squares in Italy and the Italian football, an exit to conquer or to perish between the Viola of Florence and the red-yellow of Rome. Firenze-Res Roma will therefore be ninety minutes of pure tension, of agonism but of true sportiness between two realities that are esteemed and respected, a "coup" from inside or outside, to raise the Scudetto Primavera to the Tuscan sky. Training to the orders of the technical duo Cioni-Pratesi without mercy in bringing down the teams to date encountered. POOL OF GOAL AND FINAL: THE RES ROM FLY AND DREAM! Four goals and a great performance, in front of a large and numerous public, allow Res Roma to eliminate Napoli and access the final championship of the Primavera championship, where the Giallorossi will face Florence, which has taken the Brescia field. Mister Piras has to do without Tumbarello and Pittaccio, and sends from the first minute Caporro between the poles, Sclavo, Cunsolo, Cela and Spagnoli in defense, Greggi, Simonetti, Caruso and Di Giammarino in midfield, with Palombi and Labate in attack . In the first quarter of an hour the two teams face each other especially in midfield and the first goal action happens to the guests who engage Caporro with a shot from the distance of Tagliaferri; Res Rome responds with Palombi whose conclusion is deflected by Parnolfi in the corner. With the passing of the minutes the Giallorossi become master of the field and collect scoring action: at the twenty-fifth Caruso hits the intersection of the poles and on the riveted net of Di Giammarino, Parnolfi sends in corner. Three minutes later Simonetti launches Palombi but Parnolfi intercepts with his feet and saves the result. 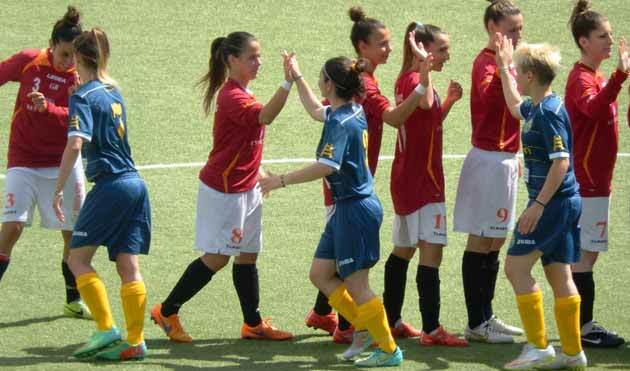 Read more: POKER OF GOAL AND FINAL: THE RES ROM FLIES AND DREAMS! The championship dream crashes in the semifinals against the Florence that in the arc of the two games has deserved the final. Too bad because the first half, Brescia had been more dangerous, he attacked the purple strikers well in midfield and above all he took the lead at the end of the first fraction. In the second half, however, perhaps also because of the great heat, Florence got back on track and reassembled the game winning another victory. The Brescia starts well trying immediately to play and the 6 'is seen with a conclusion from outside Serturini but ends on the side. The Brescia is in the match and the first purple conclusion arrives only at 17 'on free kick. Two minutes pass and always on the feet of Serturini an opportunity greed for Brescia: central action of Mele that unloads on Pezzotta that in turn supports in the area for Serturini but his conclusion ends at the side. 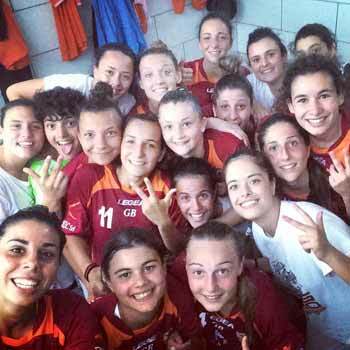 Two goals by Claudia Palombi and one by Flaminia Simonetti allow Res Roma to take the field of Napoli and win 3 0 in the first leg of the semifinal of the Primavera championship, placing a serious mortgage on access to the final championship. Mister Piras must renounce the unavailable Natali and Chiappa, and the injured Pittaccio, and sends Caporro from the first minute between I poles, Sclavo, Cunsolo, Cela and Spagnoli in defense, Greggi, Simonetti, Di Giammarino and Caruso in midfield, with Palombi and Labate in attack. The Giallorossi dominate the match from the first minutes and already at the seventh touch the goal with Caruso on Simonetti's assists on the band and sends a little to the side; to the tenth combination Caruso - Simonetti - Palombi with the latter that sends high. Napoli is shown to the twentieth with a free kick by Tagliaferri saved by Caporro. Brescia is defeated by San Marcellino of Florence for 4 to 2 and now will have to give all of himself in the return challenge, next Sunday in Paratico. Yet the game had started with the right look, already after a few seconds a cross struck by Mele, then two chills by Borghesi and Razzolini but at the 6 'came the goal of Serturini, good to exploit the launch of Contessi, skip the goalkeeper and address in the door. The advantage, however, does not last long because only two minutes later the Florence reaches a draw with Razzolini who resolves a melee in the area. The Brescia is shown at 10 'with a conclusion from the edge of the Serturini area but Florence is the best game. At the 32 'purple doubles: defensive inattention, Nocchi took advantage of recovering the ball, enters the area and kicks to the far post. At the 35 'Brescia recriminates for a doubtful foul on Martani in the penalty area but to find the goal is still the Florence with Razzolini that from impossible position kicked in goal, the ball slams first on the inside crossbar and then enters the door. 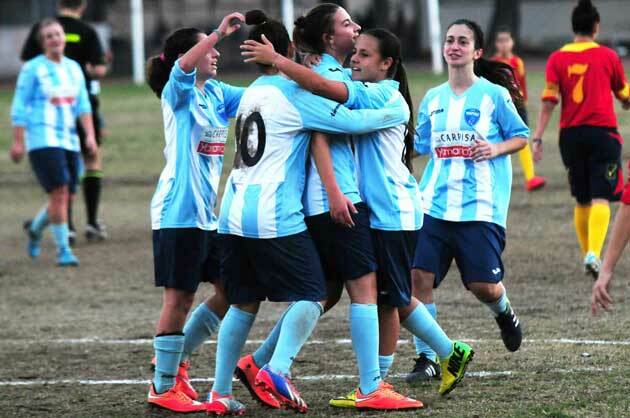 Napoli Carpisa Femminile suffers but passes in the race with Bari for access to the semifinals of the Primavera Championship. 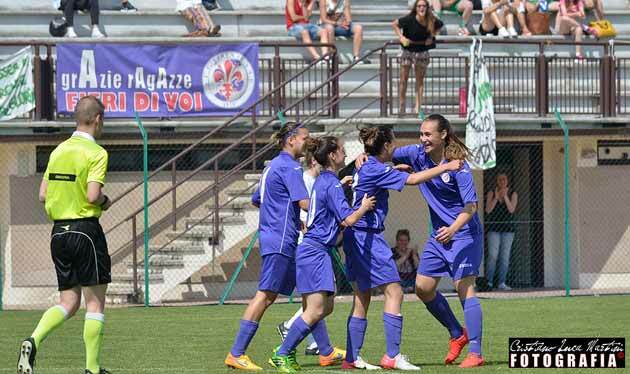 Against a Bari, never domo, the eleven of Nino Catalano go immediately under and then take the 3 to 1 in the first part of the game, thanks to a double of Moraca and a goal by Azzurra Massa. The games seem to be made even in the second half when the Neapolitans repeatedly touch the net. A pole and a crossbar prevent Moraca and Russo from passing again but in the final minutes an unjustified nervousness complicates the passage of the turn. Giuliano is expelled for a reaction kick, while Russo even leaves nine baby turtles. The Bari takes advantage of it, first shortens the distances then flies in the final minutes by touching the company. On Sunday, Napoli, who came for the third consecutive year in the first four positions of the Primavera National Championship, will face Roma in the first semi-final match. It is hoped that mistakes will not be repeated that could compromise a final touched last year in the double comparison with Perugia. 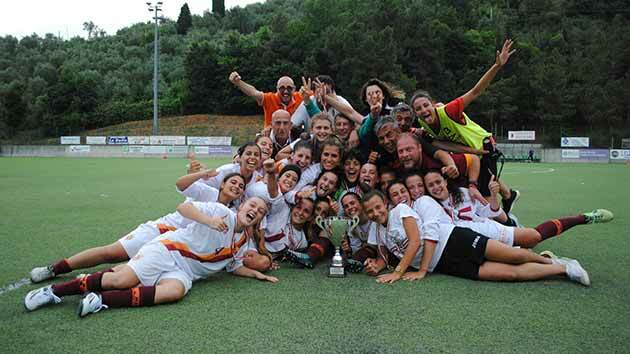 The Giallorossi of Mr. Piras storm Verona and enter in the Semifinal, where they will face Naples. With a goal in time, the Roma Roma defeat the field of Verona and access the semifinals of the national championship Primavera, finishing first and full points, the group 3 valid for the quarterfinals. The Giallorossi play a good kick and put in check the listed opponents, at the end of a match well played by both parties. Mister Piras must renounce Pittaccio alone and sends Caporro between the poles, Sclavo, Cunsolo, Cela and Caruso in defense, Di Giammarino, Greggi, Simonetti and Spagnoli in midfield, with Palombi and Labate in attack. The first minutes of the game are in favor of the landlords who try to wedge in the Giallorossi rearguard on several occasions, but never call Caporro in the parade; the guests start to grind the game from the tenth minute and immediately become dangerous with Spagnoli, whose shot ends slightly high. A minute later Palombi lost the moment for the conclusion to the net a few steps from Toniolo, while the twelfth is still Spagnoli to kick on goal without luck. Verona. 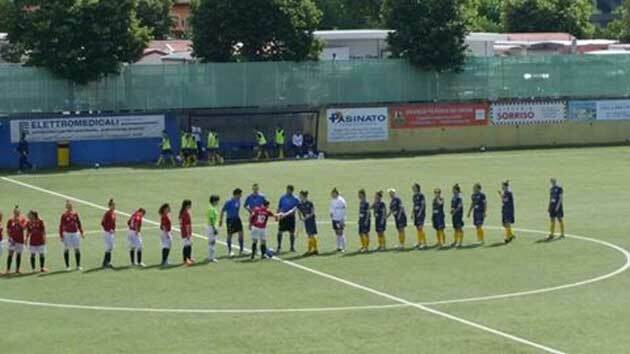 The spring teams of Agsm Verona and Res Roma will face the synthetic of via Sogare in the third and decisive competition of the triangular that will designate the semifinalist of the national championship. The gialloblù start forward, but that of Gelmetti and companions is a fire of straw, because the Giallorossi with the passing of the minutes appear more and more determined and dangerous in the restart. The Romanist attack plays on the edge of the out-of-court game by often appealing a yellow-blue defense that appeared rather slow. In the quarter of an hour the Res Roma took the lead: Labate flies from the left, badly the trap of the out of game, and the Giallorossa beats the innocent Toniolo. Number one of the scaligera that is exceeded to 21 'going to deflect in the corner the conclusion to the safe stroke of Palombi. In the second half at the 7 'the Romans double with Simonetti: the number eight giallorossa goes to the conclusion in the area with a ball that, touched by Marconi, ends at the intersection of the poles.